To start this off, I didn't purchase this and this wasn't sent to me for review. I actually won this from TikiBox on Instagram, but I thought I could still review it since it's not one that I've seen be featured on review blogs (if it has, sorry I missed it!). What is it? 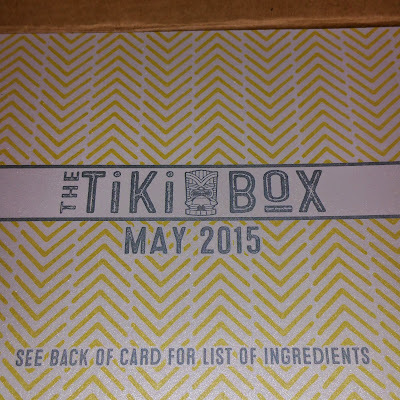 : TikiBox is a monthly subscription box that brings you a variety of snacks and treats from Hawaii! How Much is It? : $15/month with free shipping! 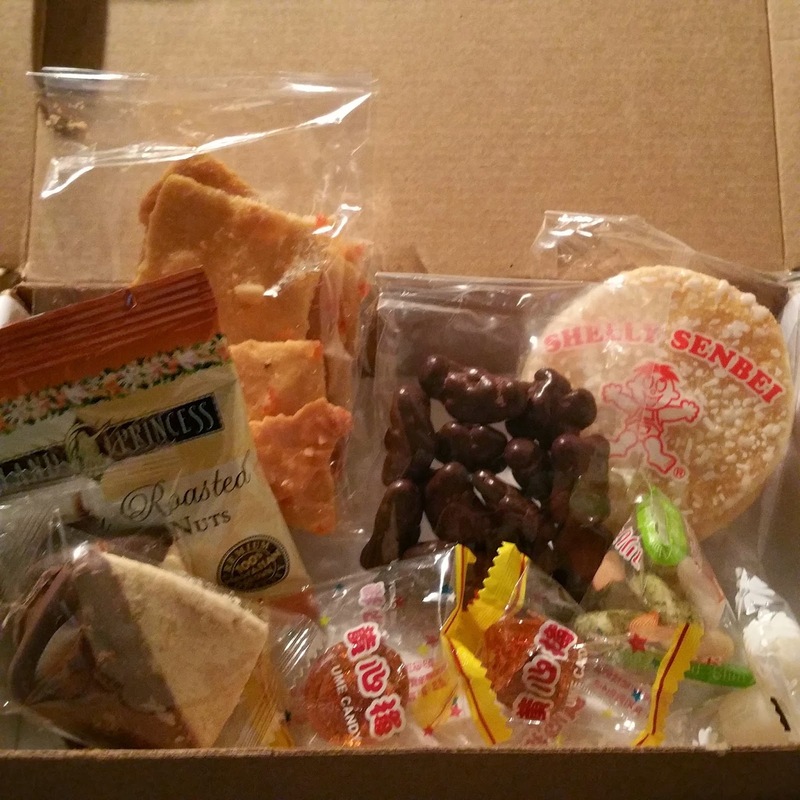 The price does not go down with longer subscriptions, but you do get free gifts! 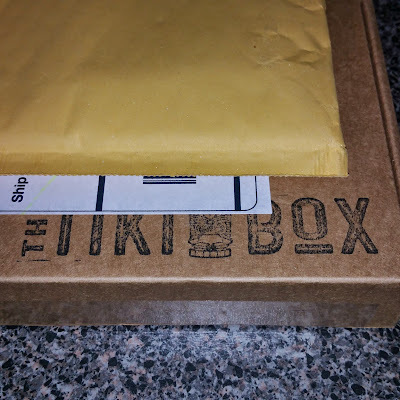 I love when shipping boxes are stamped instead of being plain, it adds a little something extra and just looks so nice. Information card. If you want more information, go here. They update their site monthly to show what is in the box. First look. Nothing was melted, which is a miracle considering how hot it has been getting recently, and everything seemed to be intact. 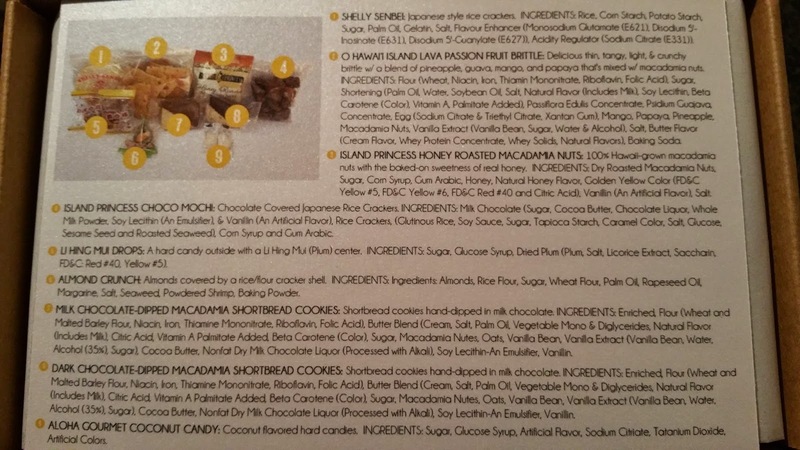 Island Princess Choco Mochi - These are chocolate covered rice crackers, teaming up two of my favorite food things. I wasn't sure what I was biting into, because rice crackers can be super good or kinda bleh, but these were really nice. Li Hing Mui Drops - I went into this one without seeing what others thought of it. It's hard candy but there's a plum inside! I don't know what I was expecting, but I definitely liked the idea of it. I love plums and will eat them constantly if they're in the house, so it might be something that's not for everyone. Almond Crunch - Almonds covered in a rice cracker shell. It's a little weird concept, so I wasn't sure what to think. I like my almonds to be sweeter, so this wasn't something I would buy again. 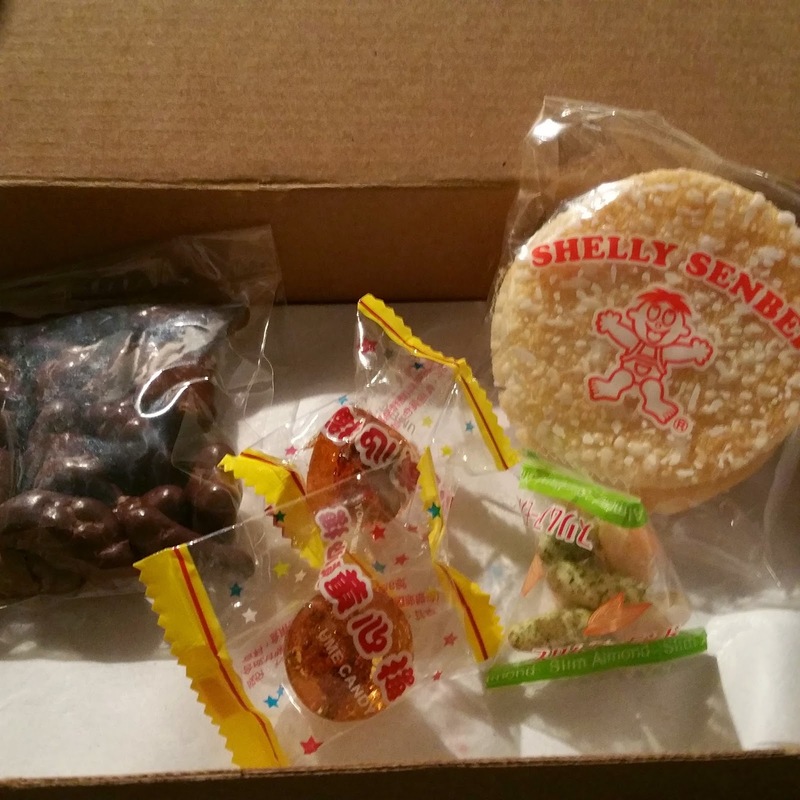 Shelly Senbei - I eat rice cakes, but the ones that are covered in fake cheese dust or chocolate. These are like the super healthy version of these without the fake stuff on the outside of them. They're a little dry, but still very tasty! 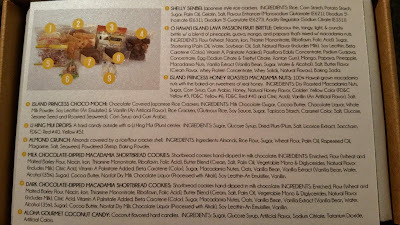 Aloha Gourmet Coconut Candy - I never knew there was coconut flavored hard candies, but I am not a huge fan of them. I do not really like most coconut flavored things, so this fit in with that dislike. Island Princess Honey Roasted Macadamia Nuts - It seems like macadamia nuts are a big thing in Hawaii, which is actually news to me. I like macadamia nut cookies, but I have learned I'm not a huge fan of them plain. 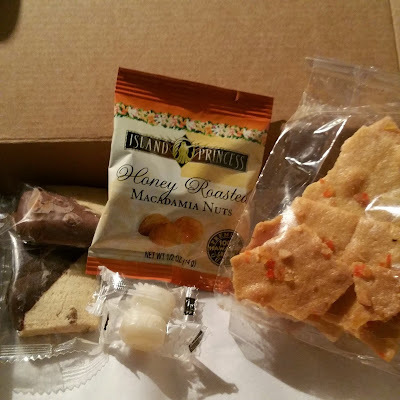 O Hawai'i Island Lava Passion Fruit Brittle - Now this is something with macadamia nuts that I could get behind. 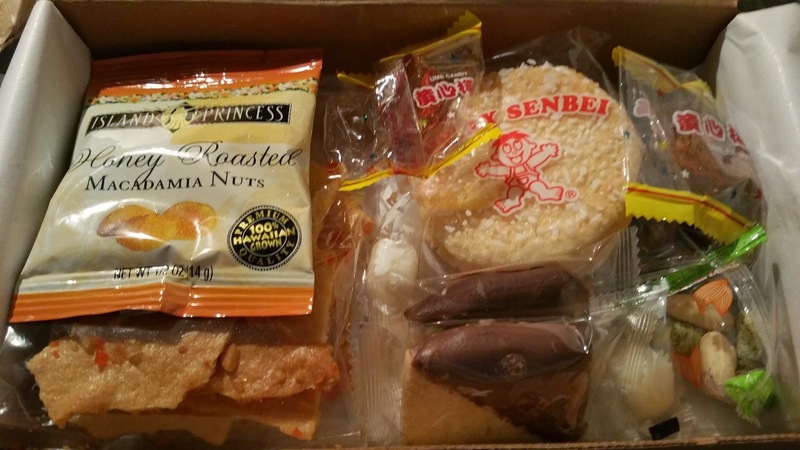 It's brittle with pineapple, guava, mango, papaya, and nuts in it. I really, really like how tropical this is and that it's got just enough of a crunch! I think it would be amazing to dip in some sort of fruit salsa. I didn't do a price breakdown on this, due to food being completely subjective. I love that I was introduced to products normally only found in Hawaii, and it's a great way to get some different snacks than what I find in stores here. 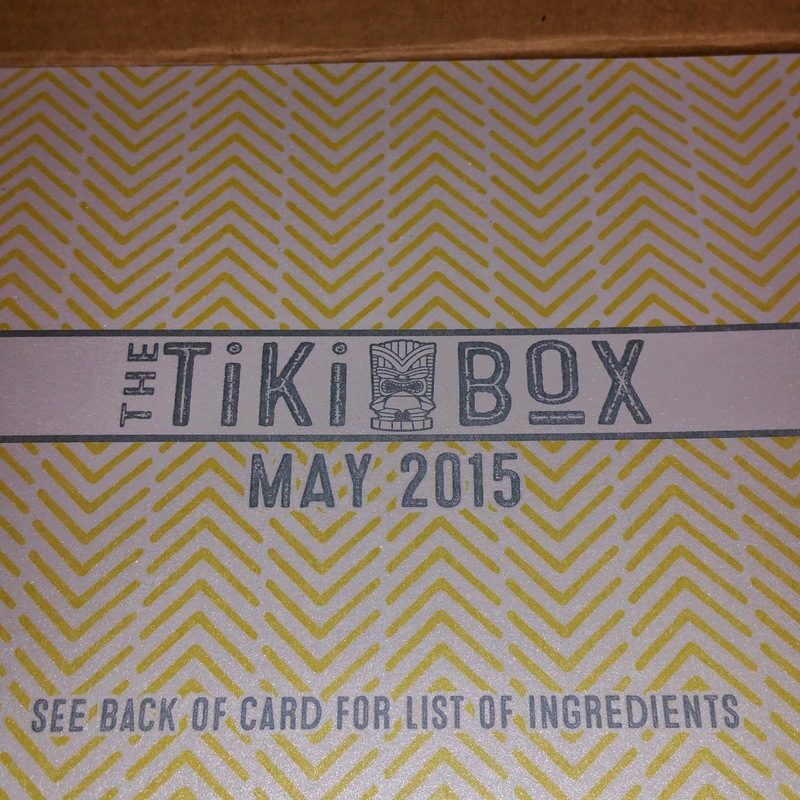 Be sure to check out TikiBox if you are interested in trying this out for yourself!